Mrs. Thinster’s Toasted Coconut Cookie Thins is crunchy, delicious, and made from no artificial ingredients or preservatives. Mrs. Thinster’s Toasted Coconut Cookie Thins are very delicious and contain no artificial ingredients. This means no artificial colors, flavors, or preservatives. Munch with assurance. I like to add a couple of these cookie thins into my favorite ice cream. The crunchiness and coconut flavor really accents the ice cream. You can break the into pieces and sprinkle on top of your ice cream. Or just stuck a few cookie thins into the side. Also wonderful for tea time or coffee break. The toasted coconut flavor is amazing and addictive. Made from real coconuts with no fake or artificial flavorings. Enjoy a couple toasted coconut cookie thins with your favorite ice cream. Or savor a few crunchy cookie thins with your afternoon coffee or tea. 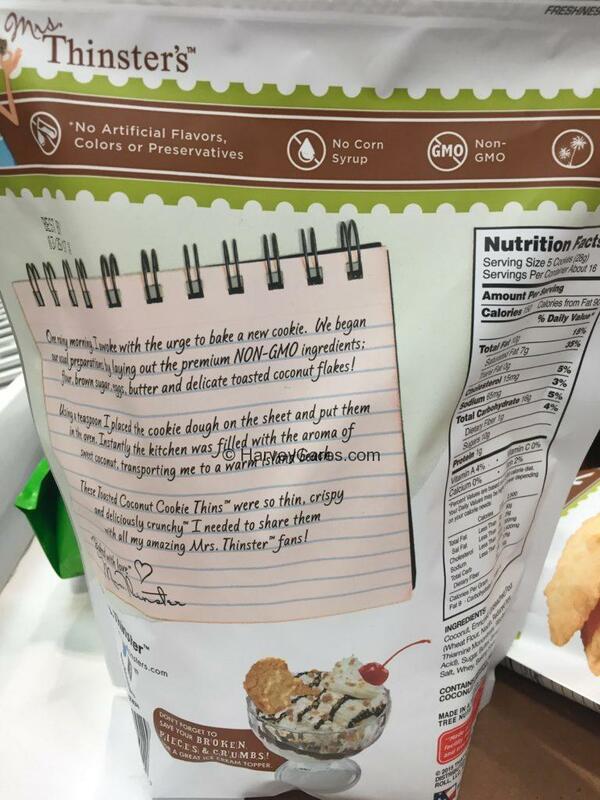 All of the ingredients used to bake the toasted coconut cookie thins are non-GMO. Looking to Purchase Mrs. Thinster’s Toasted Coconut Cookie Thins? Shopping for the Best Cookie Thins? The Mrs. Thinster’s Toasted Coconut Cookie Thins is wonderful. Back to the good stuff! 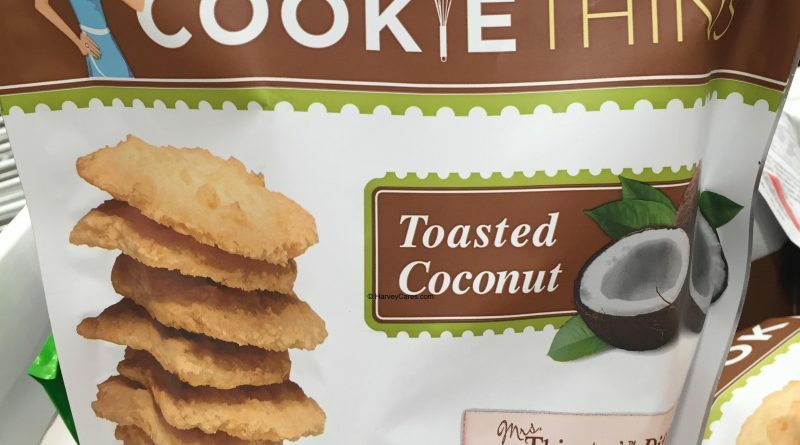 Take a look at the detailed review of Mrs. Thinster’s Toasted Coconut Cookie Thins below. Ingredients: Coconut. Enriched unbleached flour (Wheat flour. Niacin. Reduced iron. Thiamine mononitrate. Riboflavin. Folic acid). Sugar. Butter. Brown sugar. Eggs. Salt. Whey. Baking soda. Soy lecithin. These cookie thins contain wheat, milk, soy, coconut, and egg. The Mrs. Thinster’s cookie thins are processed in a facility that also processes tree nuts and peanuts. The Mrs. Thinster’s Toasted Coconut Cookie Thins serving size is 5 cookie thins (28 grams). 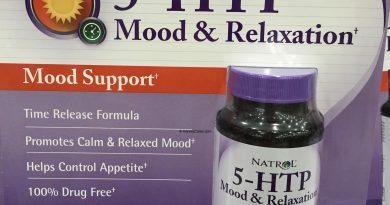 There are about 16 servings per container. 150 calories per serving. 90 calories from fat per serving. 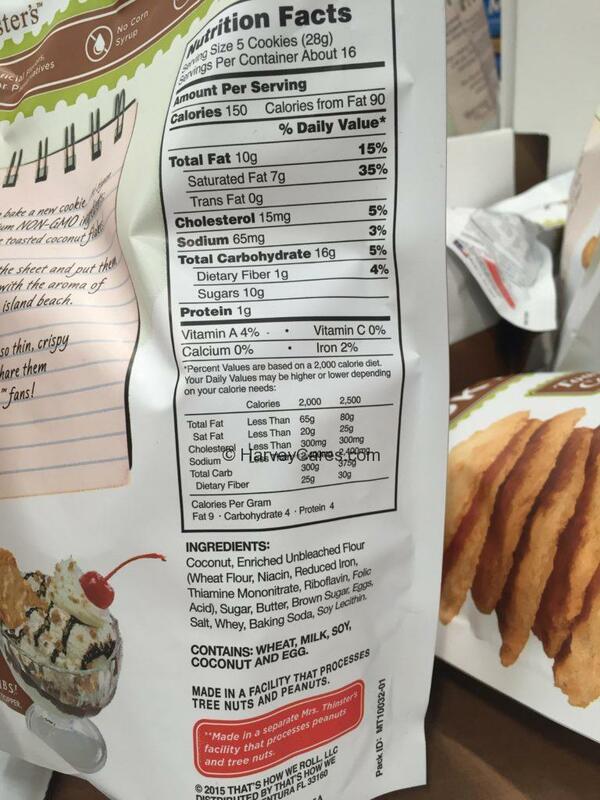 These delicious cookie thins contain about 1 gram of protein for every serving. There is also about 1 gram of dietary fiber in each serving. Mrs. Thinster’s Toasted Coconut Cookie Thins are baked with all non-GMO ingredients. That’s a good foundation to make all things edible, to be honest. The delicious cookie thins are made in a simple and straightforward way. Perhaps that is why the cookie thins are so delicious and crunchy. 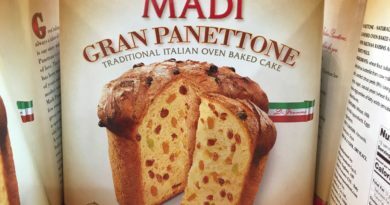 It also has a savory toasted coconut flavor to it. A perfect complement to an afternoon tea or coffee break. I like to add a couple cookie thins to my favorite ice cream. The crunchiness really accents the ice cream and makes the experience more enjoyable. Mrs. Thinster makes these cookie thins with no artificial ingredients. That’s right. No artificial flavors, colors, or preservatives. So you can munch easy while you are enjoying these cookie thins. No corn syrup is used to sweeten these cookie thins either. Overall, these toasted coconut cookie thins by Mrs. Thinster’s have become another favorite snack item for me. This is after a limited time $2 instant savings promotion. 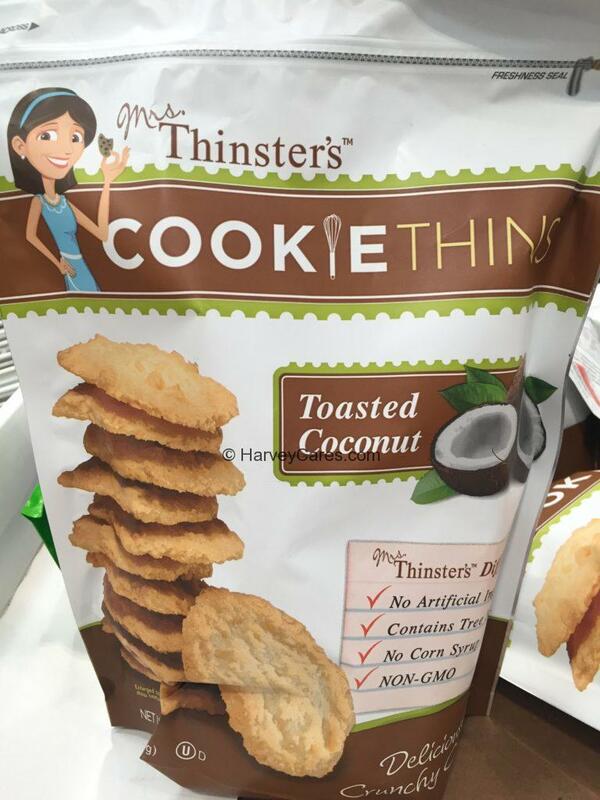 Have you bought the Mrs. Thinster’s Toasted Coconut Cookie Thins before? These cookies taste like some cookies that I grew up eating as a child. 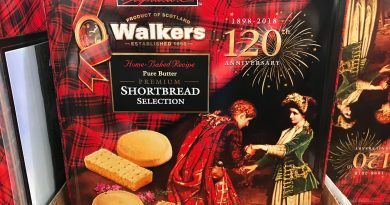 The cookies that was once very delicious over three decades ago was changed to a not so delicious cookie anymore. Your cookie is thinner but very very delicious. Love them! I came across these coconut cookies in a Sam’s store. I drove to Sam’s to purchase two bags only to discover they were out. I was greatly disappointed. I was told that Sam’s may not be carrying them anymore, so I’m hopeful to find them in other stores or online for purchase forevermore. Please don’t change the recipe because they are the best to buy in my opinion. VERY VERY GOOD! Thank you! Thank you for the message! 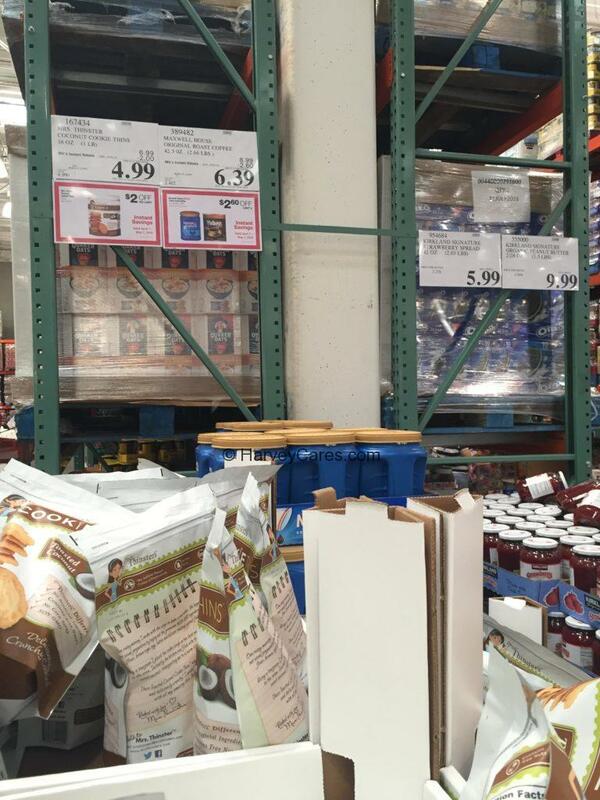 You can find these cookies online (Amazon and other retailers) or at your local Costco warehouse. Glad you love them!